The conditions set forth in this Disclaimer (hereinafter called « Website Conditions ») are applicable to the website(s) www.tourtempo.eu, and www.tourtempo.nl, and other domains by Tour Tempo Europe B.V. (hereinafter called « TTE ») a company registered with the Chamber of Commerce in Middelburg, The Netherlands with reference number 20148547. In the Website Conditions the following wording is used with the following meaning. Damage: direct or indirect damage of whatever nature, amongst others but not limited to Lost Data and Material Objects, Loss of Turnover, Loss of Profit or any other Economical Disadvantage. While visiting these Website(s) and/or using the information contained on these Websites, You agree to the application of the Website conditions. Do not use the Websites any further when You do not agree to the Website Conditions. In case there is a conflict between the wording and conditions applicable to specific products and services ordered through the Websites and the Website Conditions, the wording and conditions applicable to the products and services will prevail. The information contained on these Websites may not be seen as the only source of advice. Decisions taken by You on the basis of the information provided are for Your personal account and personal risk. Although TTE does it utmost to provide You with the correct, factual and complete information, TTE does not provide any or full guarantee as to the completeness of it. The Website(s) content is as published on the Websites without guarantee on the soundness or suitability for a particular purpose or other usage. TTE manages and maintains the websites from The Netherlands and does not warrant that the information contained on these Websites will be suitable or available for use in other countries outside The Netherlands, Belgium and Luxembourg. When using the information from other countries then mentioned above, You are responsible for usage in accordance with local applicable law and regulations. TTE does not guarantee a faultless or undisturbed functioning of the Websites. The style sheet used for the Websites is of a general nature, but optimised for use with Mozilla Firefox. Should You be using other browsers, some pages may appear differently. Use of these Websites in such a manner that other website- users will be hindered, that may jeopardise the proper functioning of these Websites and/or may affect its information or underlying software, is strictly forbidden. Particular Hyperlinks in the Websites connect to websites outside TTE′s domains, not being owned by TTE, but are included for information purposes only. Should these hyperlinks be activated You exit the TTE Websites. The use of these hyperlinks is for Your own risk and under Your own responsibility. The use of the hyperlinks via the TTE Websites is solely for information purposes, and does not warrant any approval by TTE of the products or services on offer on the other websites and You should make a thorough review of these products and services on offer by Third Parties or linked files prior to personal use. TTE does not accept any or all liability and/or responsibility with respect to content, use, or availability of the Third Part websites. The completeness, correctness, reliability and truthfulness of the information on these Third Party websites has not been verified by The Publisher or TTE. TTE (or its legal owner) maintains all property rights (amongst others but not limited to copyrights, domain names, patents and other intellectual property) in connection with the information contained on the Websites including all text, graphical materials, representations and logos. It is not permitted to copy or download or publish the information by any means without prior approval in writing by TTE. You may print and/or download information from the Websites for personal use. Without prior written approval by TTE it is not allowed to apply any Hyperlinks to the Websites of TTE. Messages sent to TTE via Email may be contaminated. TTE advices not to send confidential information per email to TTE. In case You select to send confidential information to TTE via email You accept the risk of interception, misuse or change by Third Parties. TTE and/or its agents, trading partners, licence holders, or subcontractors do not accept any liability as to direct and/or indirect immaterial or material damages, including loss of profit (also when TTE has been notified on the possibility hereof) resulting from, amongst others but not limited to (i) defects, viruses, or any other defect to apparatus′ or software related to access to the Websites, (ii) the information offered on the Websites, (iii) interception , change or misuse of information sent by TTE to You, (iv) functioning or non-availability of the Websites, (v) misuse of the Websites, (vi) loss of data, (vii) downloading or use of software offered on the Websites, (viii) claims by Third Parties in connection with the use of the Websites. The exclusion of liability is also applicable to directors and employees of TTE. The Website Conditions shall be governed and construed in accordance with the laws of the Kingdom of The Netherlands. If, in the event of any claim or dispute arising out of or relating to the Website Conditions then only Dutch Law shall be applicable and such dispute be held at the competent court in The Netherlands having jurisdiction over the matter. In case versions of the Website Conditions in other languages exist, then the version in the Dutch language shall prevail. TTE maintains its full rights as to making changes to this Disclaimer and its contents. It is recommended that You regularly visit the Websites of TTE and acquaint yourself with any changes made as to the content. Every change to the Disclaimer will lead to an increase in the document version number, as detailed below. Should there be any conflict as to the interpretation of the Disclaimer published on the TTE websites in the English or Dutch language, the Disclaimer in the Dutch language shall prevail. 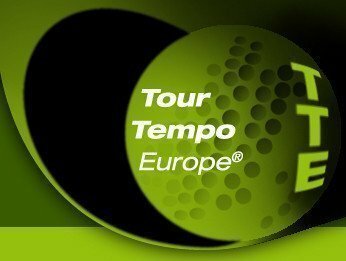 Copyright © 2015 Tour Tempo Europe®. Disclaimer version 3.1 August 2015.